To paraphrase Winston Churchill, if there was ever a time to ‘never, never, never give up’ on epigenetics then that time would be now. Diabetes is the disease of our time. It is clearly a complex disorder that has recently been shown to be associated with epigenetic changes. These changes were originally considered to be an epiphenomenon. However, the past several years have seen a surge in the discovery of epigenetic mechanisms associated with micro- and macrovascular complications. The tiniest of chemical marks that form the epigenome can make a big difference to gene function in metabolic disease. 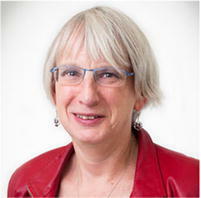 In this issue ( https://doi.org/10.1007/s00125-017-4490-1), Keating et al review contemporary advances in the field of chromatin biology, drawing on state-of-the-art discoveries in diabetes, focussing on nephropathy, immunity and metabolism. Open image in new window The figures from this review are available as a downloadable slideset. Hyperglycaemia and insulin resistance cause diabetic cardiomyopathy. Cardiomyopathy is characterised in its early stages by diastolic relaxation abnormalities and later by systolic dysfunction and clinical heart failure in the absence of hypertension, dyslipidaemia and coronary artery disease. In this issue ( https://doi.org/10.1007/s00125-017-4390-4), Jia et al review the pathophysiological mechanisms that underlie the development of diabetic cardiomyopathy. They explain that systemic metabolic disorders, such as cardiac lipotoxicity, often contribute to cardiac insulin resistance and the development of diabetic cardiomyopathy. Other mechanisms include mitochondrial dysfunction, oxidative stress, inflammation, endoplasmic reticulum stress, impaired calcium handling, cell death and dysregulation of coronary endothelial cells and exosomes. Together, these pathophysiological changes induce cardiac stiffness, interstitial fibrosis and consequent cardiac dysfunction and heart failure. The authors go on to discuss possible strategies for the prevention and treatment of diabetic cardiomyopathy. They conclude that further studies to improve understanding of the cellular and molecular mechanisms of diabetic cardiomyopathy will help to develop new therapeutic approaches. Diabetic retinopathy is the most common diabetes complication and, although there are efforts to minimise blindness by effective screening and treatment, its prevalence is likely to increase as the prevalence of diabetes increases worldwide. The retina should be considered an efficient biomarker of vascular damage in diabetes. In a review by Hans-Peter Hammes in this issue ( https://doi.org/10.1007/s00125-017-4435-8), the mechanisms directing the development of small vessels in the eye are discussed to revisit the incipience of microvessel damage. In particular, the author highlights that diabetes affects not only the (micro-)vasculature, but all cells that communicate with the vascular cells of the neurovascular unit in an intimate crosstalk. Beyond classical glucose toxicity hypotheses, novel disease transmitters and neurovascular response patterns are considered. The author also discusses normoglycaemic models for novel pathogenetic concepts and possible new treatments. Overall, the review is intended as a reminder that studying the retina remains crucial for understanding diabetes as a systemic disease. Because of the dispersed nature of neurovascular tissues, islets and their associations with the pancreatic blood vessels and nerves cannot easily be observed using standard two-dimensional (2D) histology. In this issue ( https://doi.org/10.1007/s00125-017-4409-x), Tang et al report on their use of 3D panoramic histology with tissue clearing to investigate mouse and human pancreases, identifying the neuro-insular network in both species. Global visualisation of the pancreas reveals the intra-pancreatic ganglia (peri-lobular and intra-parenchymal ganglia in humans) and the islet–ganglionic association. The high-definition 3D images depict the islet sympathetic and parasympathetic innervation. Importantly, in humans, the pancreatic fatty infiltration appears to remodel the ganglionic microenvironment, in which the adipose–ganglionic complexes and enlargement of the ganglia are identified. The 3D image data provide insight into the mouse and human neuro-insular networks for comparison. They also demonstrate the use of a modern histological approach for characterisation of the previously unknown details of the pancreatic tissue network in health and disease. This paper is one of a pair of papers in this issue. See also https://doi.org/10.1007/s00125-017-4408-y. Obesity and associated comorbidities are major contributors to poor health and healthcare costs worldwide. Increasing brown adipose tissue (BAT) energy expenditure (thermogenesis) is a potential strategy to combat obesity. Thiazolidinediones are a class of glucose-lowering drugs widely prescribed to people with type 2 diabetes, and are also well known to induce browning of adipocytes in preclinical experimental models. However, their effect on the thermogenic capacity of human BAT is unknown. 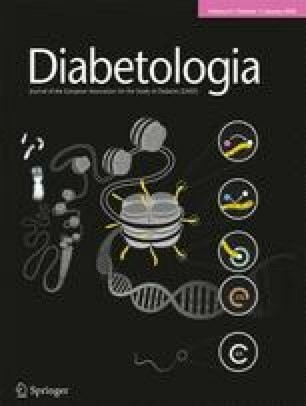 In this issue ( https://doi.org/10.1007/s00125-017-4479-9), Loh et al report a reduction in cold-stimulated BAT glucose uptake (a surrogate measure of BAT activity) after chronic (28 days) pioglitazone administration to seven healthy young males. This inhibition of BAT function by pioglitazone is discordant with preclinical models and argues against the pursuit of related pathways for BAT-targeted therapeutics. These data may have implications for the treatment of type 2 diabetes, since pioglitazone-induced BAT dysfunction could contribute to weight gain in these individuals.